You might need to consolidate information such as work schedules, collaborative projects, and event invitations from multiple calendars. Perhaps you work with clients who use Outlook or Google Cal. Or your colleagues in other departments may use their own calendar systems, and you need to collaborate on scheduling and event invites. 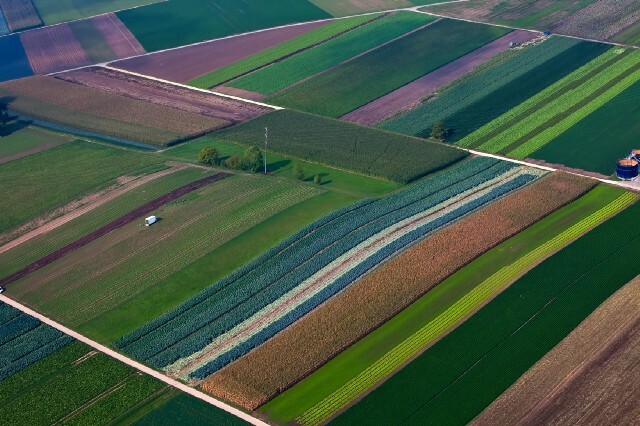 You can set your Teamup calendar to provide a single, contained overview of all the information coming in, even from multiple calendars and various calendar applications. You’ll use the inbound iCalendar feed functionality. With inbound feeds, you can subscribe to various calendars, even if they’re created and shared from different calendar applications. Other Teamup calendars you manage or have access to at any permission levels. 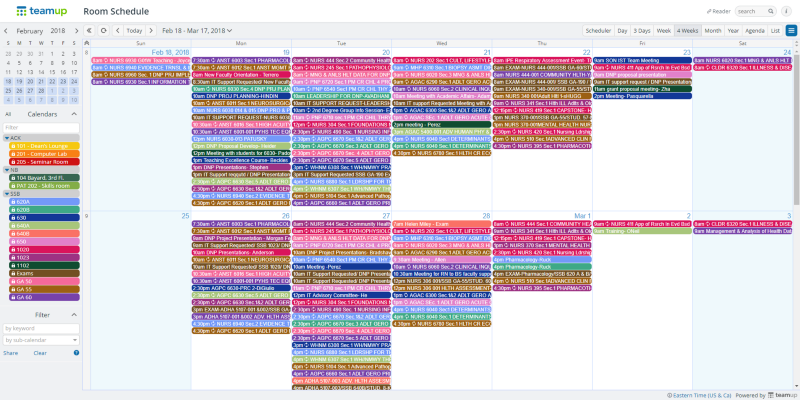 When you add an iCalendar feed, it will show up as a sub-calendar and will have active one-way synchronization. Teamup periodically fetches and updates the information from the inbound feed, automatically. It is a read-only feed, meaning you aren’t able to change events and send changes back to the feed source. 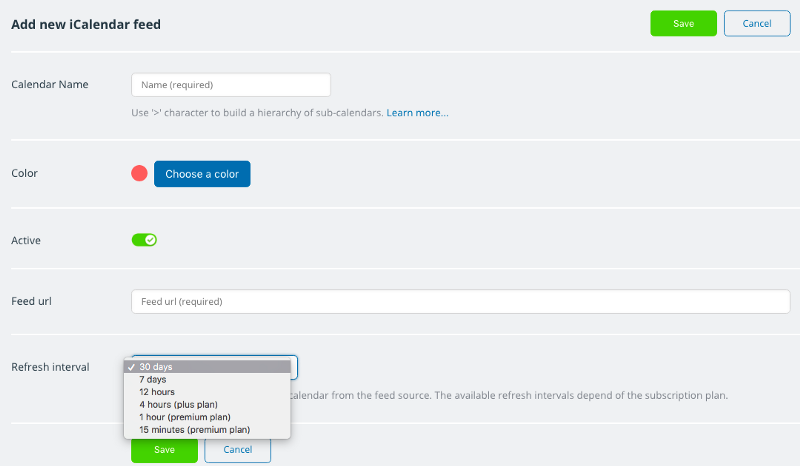 To add an inbound iCalendar feed, get the feed URL of the calendar you want to subscribe to. A calendar owner or administrator can provide this to you. Or see this help article on how to find feed URLS in some calendar products. Then go to Settings > Calendars in your Teamup Calendar. Click the New button on the top right, then choose Add iCalendar feed. Adding an iCalendar feed is as easy as adding a new sub-calendar. Inbound iCal feeds appear in your calendar list with the time of last data refresh. 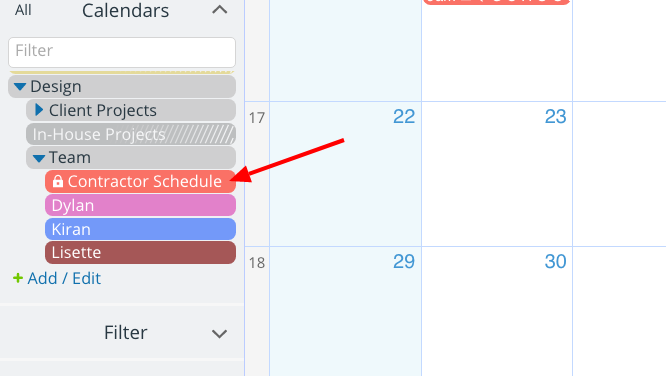 You can also add inbound feeds from other Teamup Calendars; find the iCalendar feed URL for any Teamup calendar by going to Preferences > iCalendar Feeds from the blue menu button in the top right of the calendar. Copy and paste the URL for the calendar you want to add as an inbound feed. Note: be sure that the iCalendar feed URL is from a calendar with appropriate sharing permissions set (not from an administrator calendar). Read more about setting up secure outbound iCal feeds. Since each inbound feed is set up to work as a sub-calendar, you can toggle the view on and off. Add a name and > in front of the calendar to create a nested hierarchy. Folder organization allows you to quickly toggle an entire set of inbound calendar feeds, rather than handle them individually. It’s also helpful if you deal with multiple feeds and want to keep them visually grouped together in separate categories. You can organize as deeply as you want, using nested folders, to keep things trim and organized. Read more about folder organization. You can share your calendar view with multiple feeds via a sharing link. Create a new link, then you can choose with sub-calendars to share with the link, including those which are inbound iCalendar feeds. 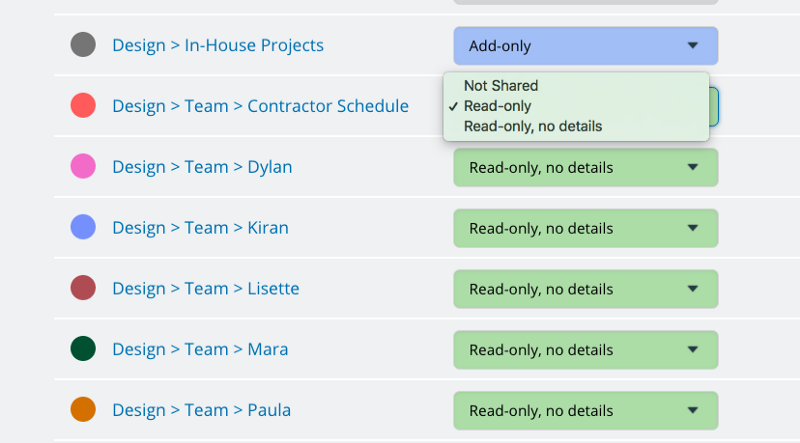 Sharing links for inbound iCal feeds will only allow read-only permissions. With that feature, you can create an overview of multiple department schedules, individual calendars, event categories, or more, and share that information with others who need it: all with a single link. Header image by Ricardo Gomez Angel on Unsplash.